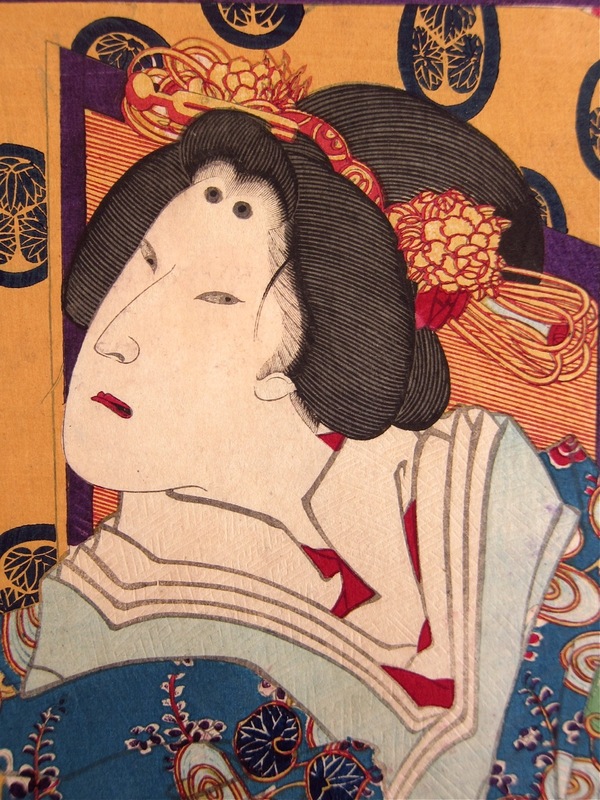 Toyohara Kunichika (1835-1900) Thirty-six Good and Evil Beauties: Kiyoshi Hikariin, 1876. Oban. 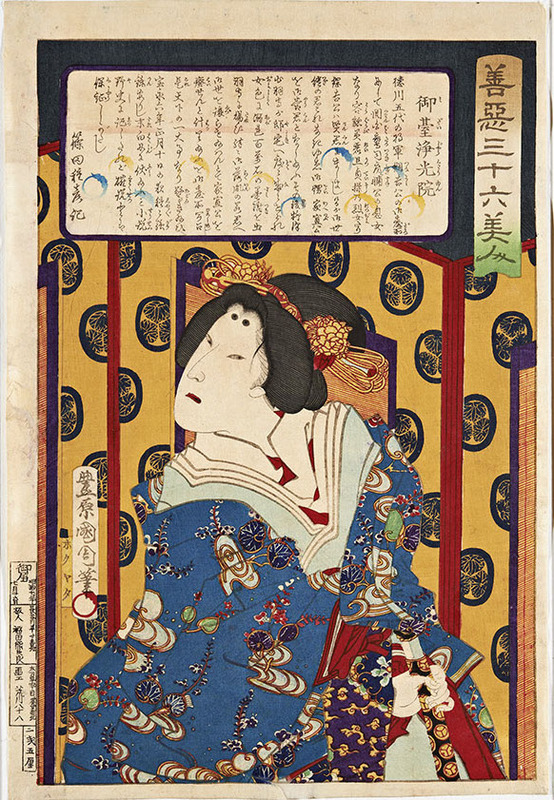 In this print, Kunichika shows a princess - Kiyoshi Hikariin - in an act of vengeance in front of a folding screen. These prints are rare and the meanings behind the images are often either lost or else very difficult to find out. The busy, cursive script is now lost to us and it is not possible to translate it.